Remember, however, that microchipping alone is not enough. You must register the microchip with the manufacturer and keep your contact information current, especially if you move to a new address or change your phone number. Check your pet’s registration information in the microchip manufacturer’s database to ensure all contact information is current. To do this, you will need to contact the manufacturer of your pet’s microchip directly and give them your pet’s microchip number. If you do not know the manufacturer of your pet’s microchip, AAHA’s Universal Pet Microchip Lookup Tool can help. This internet-based application is linked to the registries of the majority of microchip manufacturers and allows a quick database search of any microchip made by these manufacturers. Simply enter your pet’s microchip number and the application will generate the name of the manufacturer. Don’t know your pet’s microchip number? We’re happy to help! Simply bring your pet to the hospital and we will scan him/her for you. Make an appointment with us! It only takes a few minutes and we can register your pet immediately. For more information about National Check the Chip Day, click here. 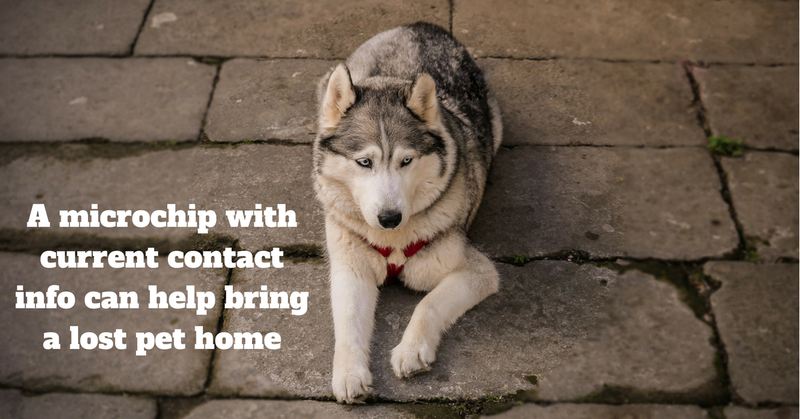 And if you have any questions about your pet, be sure to contact us!